NGC 3627 is a spiral galaxy located about 30 million light years away. This composite view contains X-ray (blue), infrared (red), and optical data (yellow). 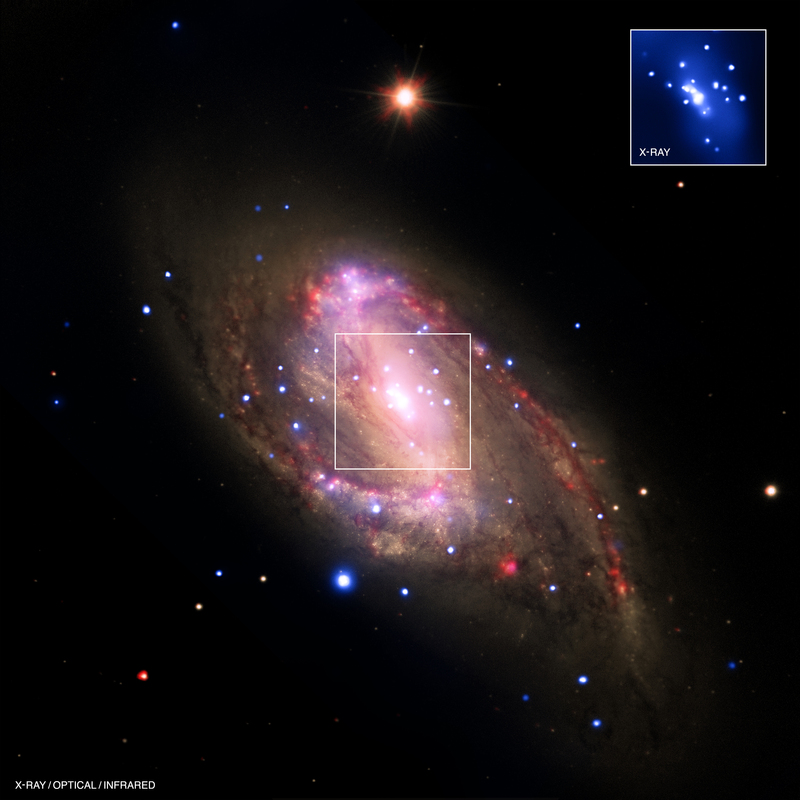 A survey of galaxies that included NGC 3627 to look for supermassive black holes was recently completed. 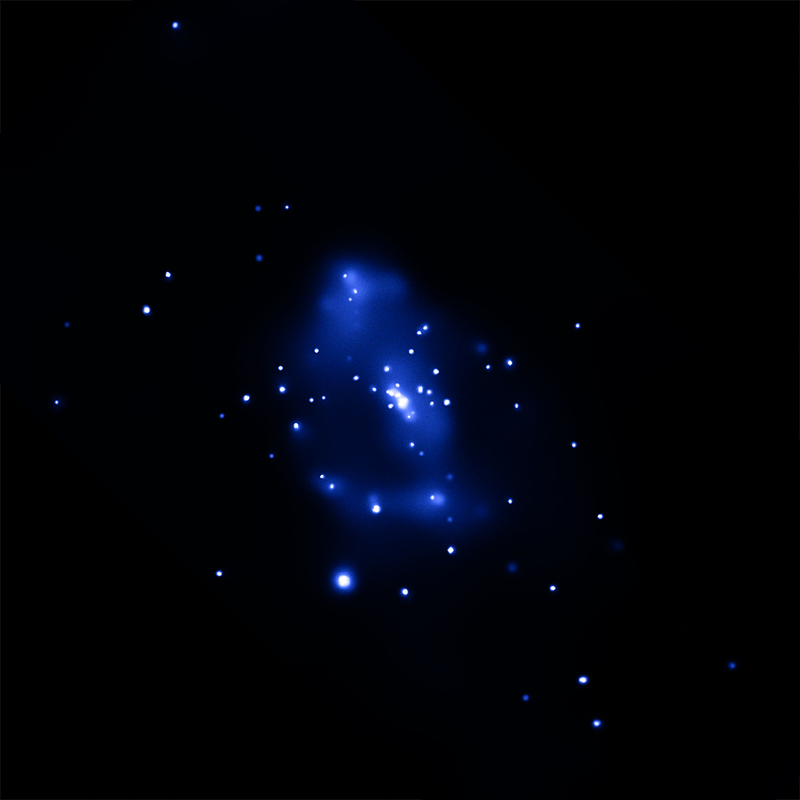 Coordinates (J2000) RA 11h 20m 15.0s | Dec 12° 59´ 30.00"
Are these central supermassive black holes the factory of young stars? The research has shown that 37 of the nearby galaxies contain X-ray sources in their centers, are the other galaxies on which the researchers has studied, older than the first group or they're younger? I know that we may not be able to say they're all older or younger, I want to know the age of most of them. So the nuclear activity is related to what at the end if it's not related to the amount of star-formation. I mean what in the results of combining X-rays and Infrared proved that? Please answer. The spiral galaxy NGC 3627, located about 30 million light years from Earth. 29 million light years from Earth. Combining X-ray data from Chandra, infrared data from the Spitzer, and optical data from the Hubble Space Telescope and the Very Large Telescope. About 57,000 light years across. X-rays are blue, optical yellow and Infrared red.